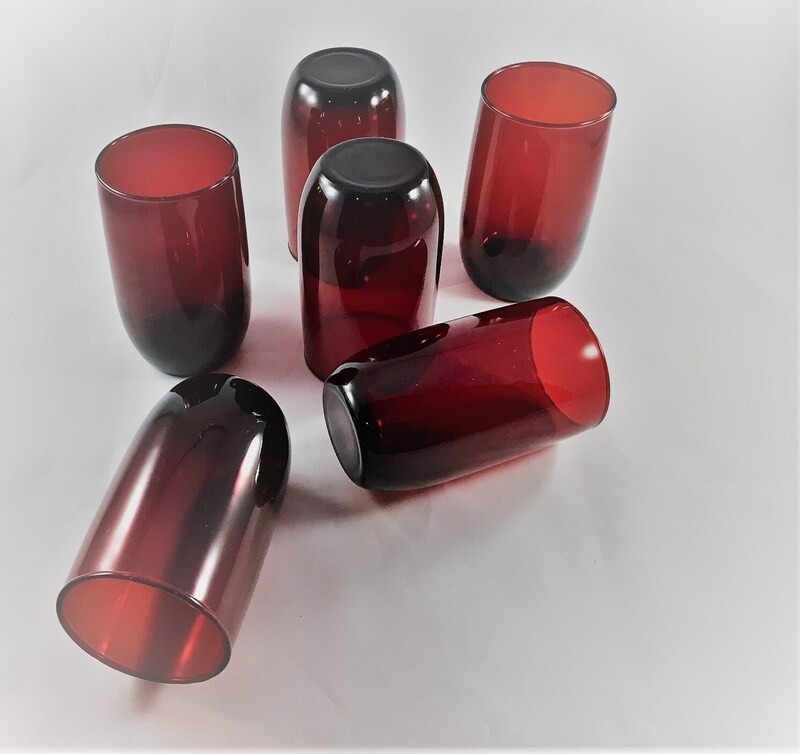 Featured is a beautiful set of six ruby red glass tumblers from Anchor Hocking. 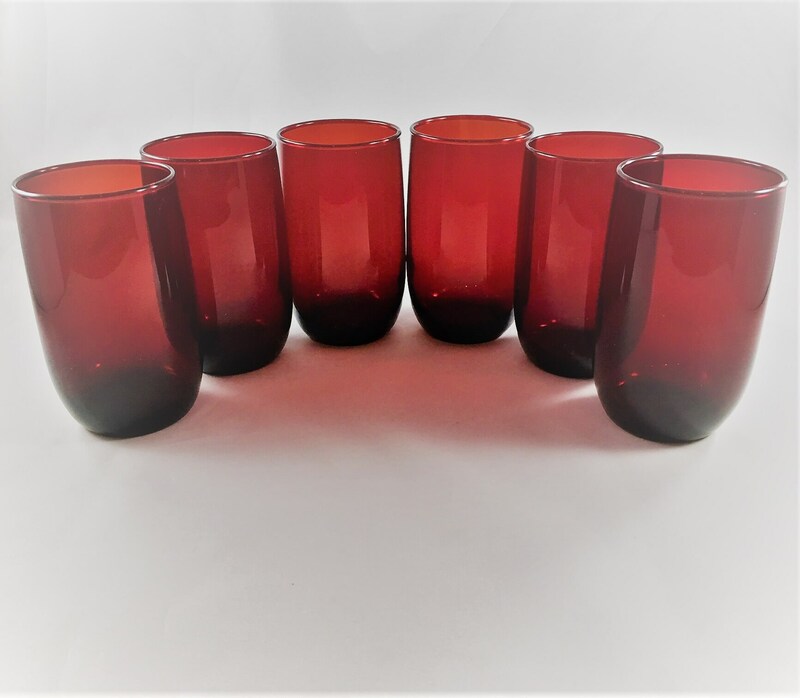 These 9 ounce tumblers are from their Roly Poly Royal Ruby pattern. They measure 4 1/2 inches tall and hold 9 ounces. 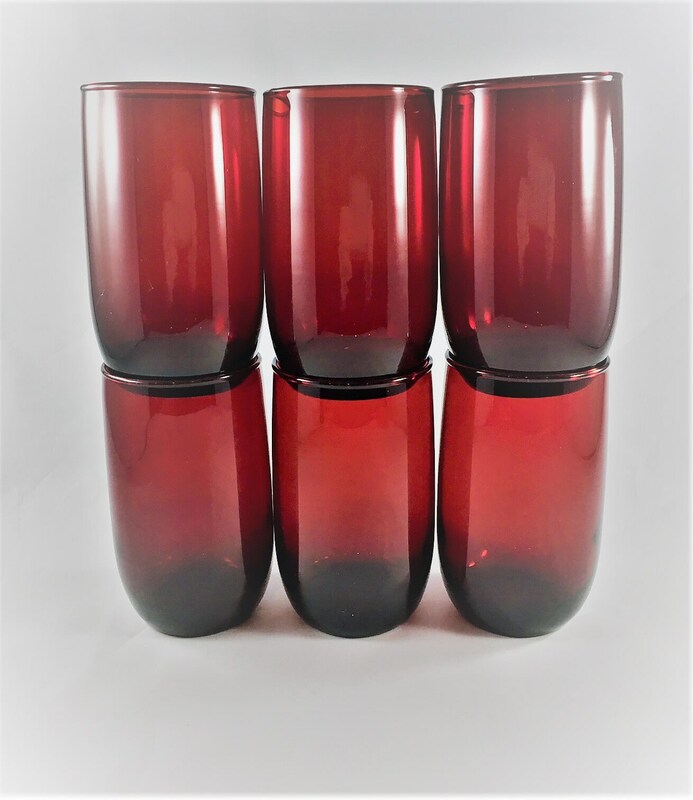 All six pieces are in excellent vintage condition, free from any chips or cracks. 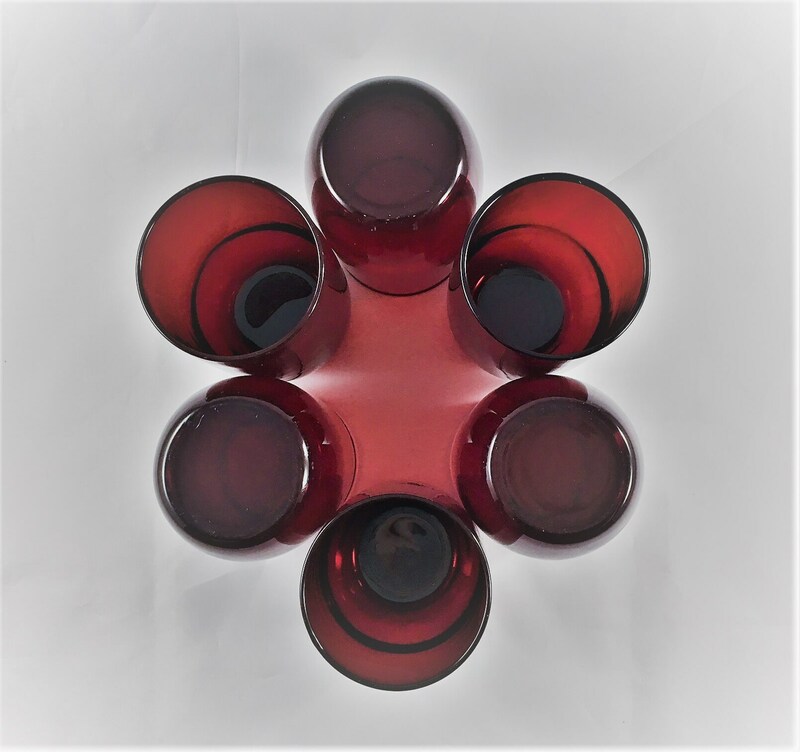 All 6 pieces for one low price.